Portland, OR — At its monthly meeting on March 21, 2019 the Commissioners of the Oregon Liquor Control Commission accepted the findings of a State of Oregon Administrative Law Judge (ALJ) and denied the application for a producer marijuana license by Earth People’s Garden, LLC. All five of the attending commission members voted in favor of issuing a final order upholding the license denial. An agency investigation determined that Steven Shirley, the managing member of the Earth People’s Garden provided false information to the Commission. Shirley was required to take tests to obtain a Marijuana Worker Permit, and a test to show his proficiency with Metrc, the state’s Cannabis Tracking System. Instead the investigation found, and the ALJ agreed, that another person took those tests, even though Shirley represented that he had been the test taker. 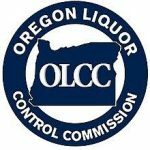 Shirley contested the recommendation by OLCC staff that his license application be rejected and requested a hearing through the Oregon Office of Administrative Hearings. Administrative hearings, which are closed to the general public, allow individuals and businesses to dispute state agency action against them. After the Commission’s decision each Commissioner remarked that they made their decision to ensure the integrity of the licensing process and the regulatory system. Commissioners stressed that legitimate cannabis businesses need to adhere to the law and follow OLCC rules. Jefferson Packing House* will pay a fine of $825 or serve a five-day recreational marijuana wholesaler license suspension for one violation. Licensees are Jefferson Packing House, LLC; Nightingale Industries, Inc., Member; Matthew Ochoa, President/Director/Stakeholder. Self Made Cannabis Company (#B9DE)* will pay a fine of $7,260 or serve a 44-day recreational marijuana producer license suspension for two violations. Licensees are Self Made Farms, LLC; Steven Self, Member; Catherine Leathers, Member. Self Made Cannabis Company (#8E65)* will pay a fine of $4,455 or serve a 27-day recreational marijuana producer license suspension for three violations. Self Made Cannabis Company (#C0E7)* will pay a fine of $5,610 or serve a 34-day recreational marijuana producer license suspension for four violations. *The locations of OLCC marijuana producer, processor and wholesale licensees are exempt from public disclosure under Oregon law. A copy of the Stipulated Settlement Agreements for Marijuana Violation Cases can be found on the OLCC website, on the Laws & Rules page under the Final Orders section. Zimbabwe Govt Finds Way To Print Money For Itself ?